Leave the modern world behind at Ulaanbaatar and Mongolia will transport you to another world – one untouched by the advances of society, dominated by the endless steppe, harsh desert, and towering peaks. When should I visit Mongolia? Late spring to early fall is generally the best time to visit Mongolia, no matter where in the country you plan on going. The winter months are very harsh, though you can find some skiing and dog sledding. In the summer months, most of the ger camps are open and festivals (such as Naadam) take place, plus the weather is much more agreeable. How do I get around Mongolia? If you really want to get a feel for Mongolia, you have to travel independently. Jeeps and other hardy vehicles are the best way to explore the land. Buses and trains can be found connecting some major settlements to Ulaanbaatar, however you’ll get much more from your trip by driving yourself. Mongolia’s claim to fame might be the vast unpopulated stretches of wilderness, but one glance at Ulaanbaatar tells a different story entirely. Home to nearly half the country’s population, the capital is a booming metropolis – at the cutting edge of everything from cuisine to business to nightlife. 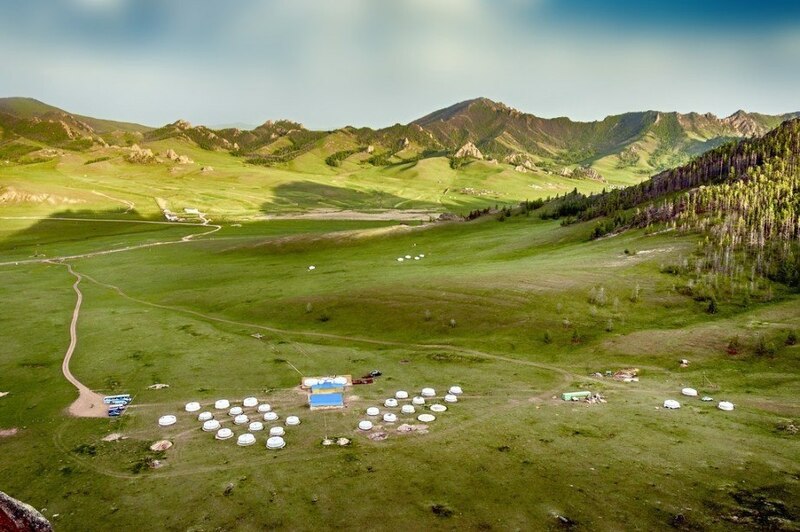 This is the Mongolia of the 21st century, and feels completely different from the way of life the nomadic peoples still follow outside the city limits. That’s not to say you won’t stumble upon reminders of Mongolia’s traditional culture here, but you’re just as likely to be caught up in the energetic, trendy, and distinctly modern bustle of Ulaanbaatar. Leave the lights and action of Ulaanbaatar behind and you’ll find yourself in Central Mongolia – the heartland of the country that perfectly encapsulates what it’s all about. The landscape here is mostly steppe – a vast grass and shrubland that is the dominating feature most commonly associated with the country. You’ll find traditional gers spread across the region, where the welcoming people are eager to share a drink, snack, or a tale. A couple of the highlights here include the Erdene Zuu monastery and the impressive Arkhangai – a sunning landscape of mountains, forests, steppe, rivers, hot springs, and trails. 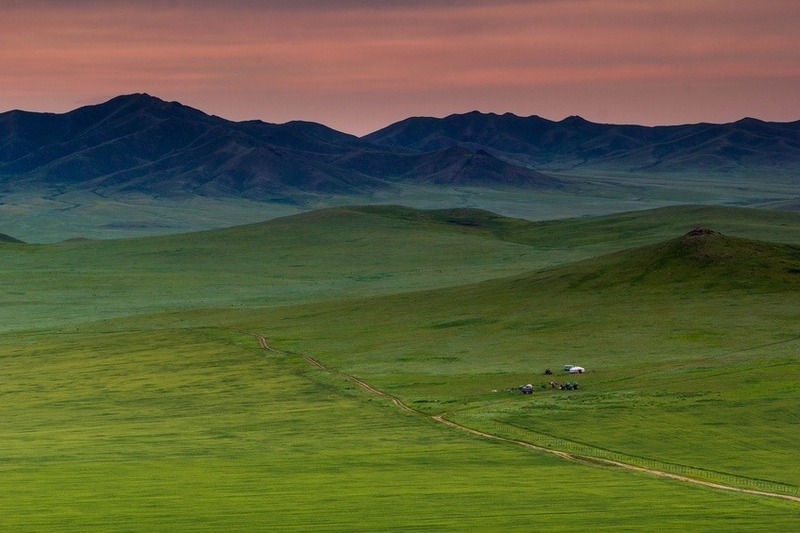 Mongolia’s harsh southern region is dominated completely by the vast Gobi Desert. It is bleak, unforgiving, and incredibly sparsely populated. That being said, if you’re up for a real adventure, the Gobi delivers one like nowhere else. Start your journey at one of the (admittedly few) Gobi ger camps, but the true joy comes from exploring the canyons and dunes, finding dinosaur bones, and otherwise getting away from civilization. Like the rest of Mongolia, the Gobi Desert is divided into aimags (or provinces). Ömnögov is arguably the standout of the bunch, with a suitably harsh environment but a sizable tourist industry to make exploration easier. While most of the country is incredibly sparsely populated, if you’ve come here to truly get away from it all, Eastern Mongolia is where it’s at. The prairie is endless here, with untouched grass stretching as far as the eye can see. The most common way to get the lay of the land is via jeep, but if you’re up to it you can even explore the land like the Mongols of old – on horseback. There has been a recent influx of oil exploration here, however the vast majority of the East remains free of these modern industrial touches. This is the homeland of the renowned Genghis Khan, and you can find references and homages to the larger than life conqueror throughout. This is a lonely and remote region even by Mongolian standards – so don’t expect it to be the easiest trip! There are only so many adjectives we can use to describe Mongolia. Rugged, remote, and beautiful can be applied to almost any region – but it’s the West that truly encapsulates all three. The landscape here has more in common with the rest of Central Asia, with plains giving way to stunning glacial peaks. Whether you’re camping along the serene lakes or venturing up thousands of metres in harsh alpine conditions, there is little to be found here that isn’t awe-inspiring in some way. Bayan-Ölgii is home to the highest and most impressive collection of mountains, serving as an ideal place to visit for the most adventurous among you. The wild North is similar to the West and South in some ways, in that it abandons the endless steppe and plains for a different ecosystem. 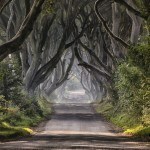 In this case, you’ll find more mountains alongside a heavily forested region right out of the Alps in Europe. Winter is undoubtedly harsh, but a visit during summertime will provide amazing weather, lush vegetation in bloom, and plentiful opportunities for outdoor activities ranging from horse riding to kayaking. The traditional shamanistic lifestyle is still alive and well in the North – providing a fascinating window into a unique part of Mongolian culture. What is the Visa Policy in Mongolia? Depending on what country you’re from, you may or may not need a visa to enter Mongolia. Canadians are able to visit for 30 days without a visa, while American citizens can stay for 90. Find out more information about the Mongolian visa policy. How much does travelling to Mongolia cost? Round trips between Pearson and Ulaanbaatar are not cheap, with a connecting flight starting around the $2500 Canadian mark. Since prices are high, you’ll want to do some shopping around to find the best deal possible. Fortunately, once you arrive in Mongolia you’ll find that daily expenses should be quite low. Expect to spend an average of about $30 a day with a budget of $11 for accommodation and $10 for food. If you’re frugal, you might need as little as $12 a day while higher end travel will run closer to $72 a day. Prices will depend on the nature of the trip, e.g. spending extended time in Ulaanbaatar versus venturing out into the steppe yourself. While there is no nationwide advisory for Mongolia, a high degree of caution is recommended throughout by the Canadian government because of an increasing crime rate. Major cities such as Ulaanbaatar and some popular tourist areas have seen a rise in violent crime (assaults and robberies) primarily directed at foreigners. You should also be wary of petty crime, as per usual. Beyond that, the main thing is staying safe and healthy when venturing into the more remote regions of Mongolia. In some areas, you are unlikely to run into anyone else – so you need to have ample provisions, an exit plan, the ability to deal with car problems, etc. Make sure someone knows where you’re going and be careful that you don’t get lost. While we encourage exploring, you need to do so carefully and with a backup plan. 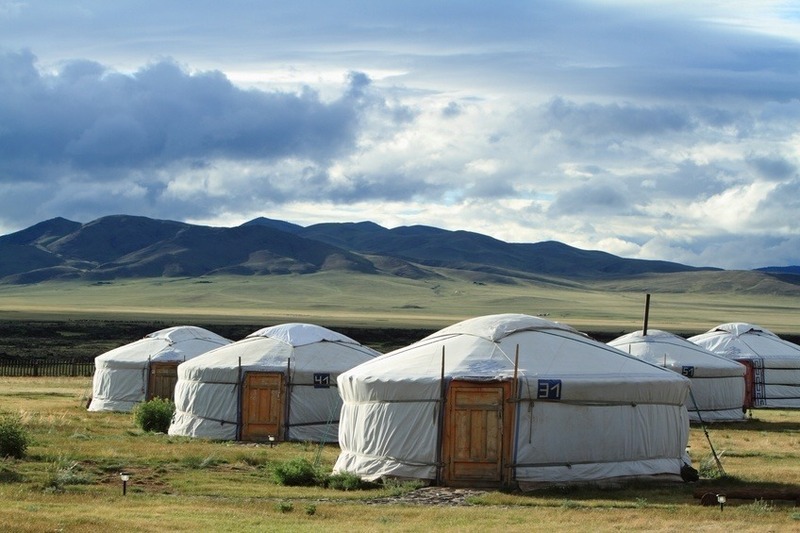 For more on travel safety in Mongolia, check out the Canadian Travel Advisory website. These are just a few examples of where to go in Mongolia, there’s tons more to see and do. If you think somewhere else should be on the list – or want to share you own experiences, tips, or advice – let us know in the comments. Check out our Country of the Week for more general information about Mongolian history and culture.